The Lost City Of Z has found another one of its explorers. 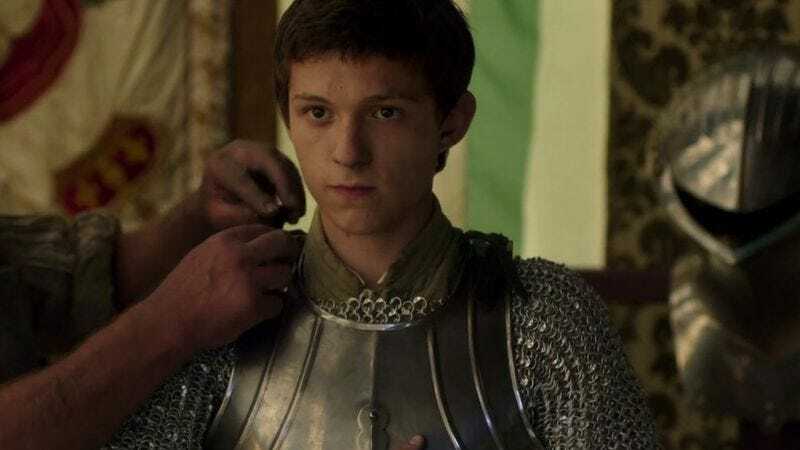 Variety reports that Wolf Hall’s Tom Holland has been cast as part of the ill-fated crew searching for El Dorado. The newest friendly neighborhood Spider-Man joins a cast that includes Charlie Hunnam, Robert Pattinson, and Sienna Miller. James Gray (The Immigrant) is writing and directing the adaptation of David Grann’s bestseller, with Brad Pitt producing. Lost City Of Z tells the tale of a doomed expedition to Brazil in search of the ruins—and riches—of the titular town. Hunnam will play Colonel Percival Fawcett, a real-life explorer who was obsessed with plundering the Amazon for the treasures he was sure were hidden within. Miller will play his wife, who missed out on the fatal fun. Variety doesn’t list Holland’s role, but he’ll probably play their eldest son Jack, who accompanied his father to Brazil. At 19, Holland won’t look strange playing a 21-year-old, but Hunnam will probably need a serious beard to play his dad. According to IMDb, Pattinson is playing someone named Henry Costin, who Wikipedia tells us was a soldier who was awarded the Medal Of Honor in the early 20th century. The real Costin died almost a decade before the Fawcetts made their final trip to Brazil, but Pattinson should have no trouble playing a guy who’s not dead in the traditional sense of the word.